We are sorry to announce that we have to postpone Saturday's photography walkgiven the state of the weather expected. We had high hopes of the forecast changing for the better, however today it is increasingly getting worse with some sources expecting Thunderstorms. We have arranged a new date on the 16th of August for the workshop to take place! Your booking will automatically be transferred, if you cannot make it on the 16th of August please make sure you cancel your booking. 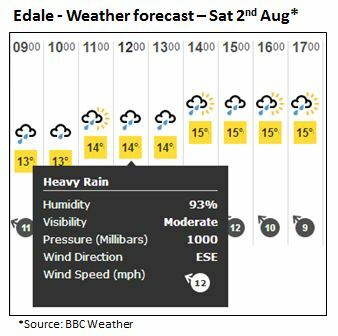 The follow up Photoshop session on the 6th of August will be postponed accordingly, with a new one scheduled after the Edale Photography Workshop takes place. We are arranging a new date for this workshop in Manchester Central Library. Anyone already booked on the Photoshop follow up session we will contact you separately!